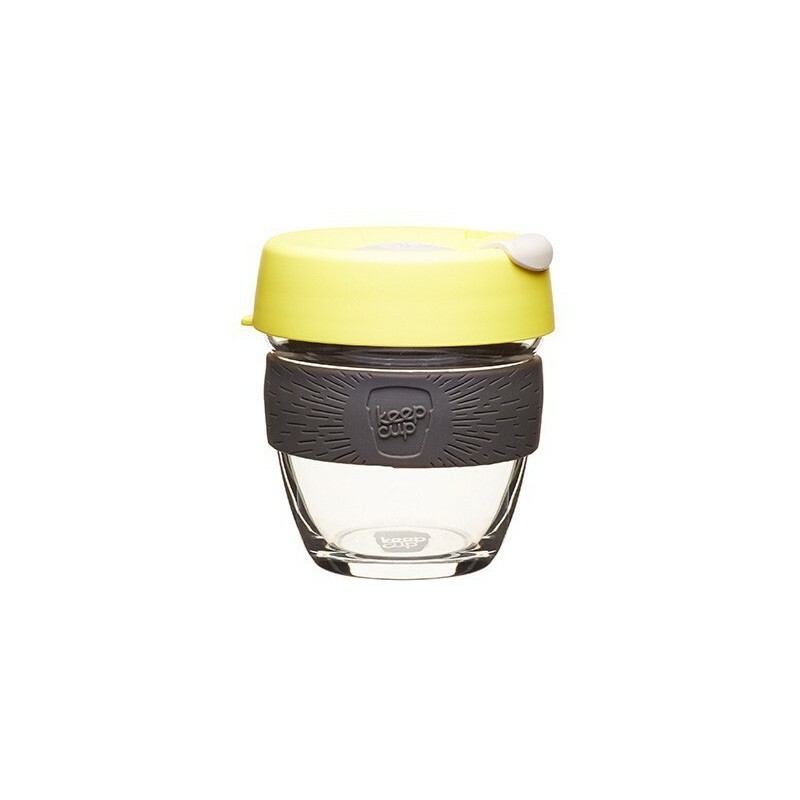 Keep Cup tempered glass reusable coffee cup with a silicone band that is beautiful to hold, antibacterial and insulates your hand from heat. Perfect for the coffee purist or lovers of fine tea to enjoy the cafe experience 'to go'. Bright yellow lid, cream-grey closure with a brown-grey band. 227ml, small size. Purchased as a gift - she loved it! 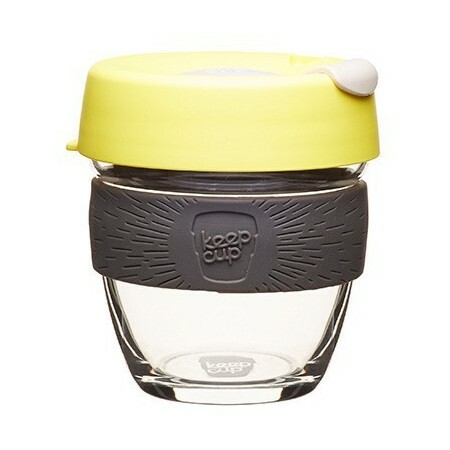 This KeepCup is the perfect size. Love the colours too.